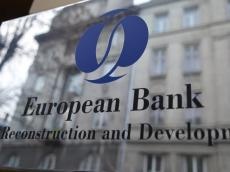 The European Bank for Reconstruction and Development (EBRD) has invested over 250 million euros in Turkmenistan’s medium-sized private companies, the EBRD told Trend. "Medium-sized private companies, including those in the agriculture and food production sectors, are one of the main priorities for the EBRD in Turkmenistan, where the EBRD has so far invested over 250 million euros," said the bank. Ninety percent of the Bank’s investments in the country support local small and medium-sized enterprises (SMEs), said the EBRD. The bank also answered a question about possibility of issuing a loan for further development of Turkmenistan’s Galkynysh gas field. "We certainly don’t want to speculate on what may happen to an individual project. Once it reaches a certain stage we publish a project summary, which is available on our website," said the EBRD. President of Turkmenistan Gurbanguly Berdimuhamedov has recently ordered to intensify work to attract foreign investment for the development of the Galkynysh gas field. The Turkmenistan-Afghanistan-Pakistan-India (TAPI) gas pipeline, construction of which began in December 2015, originates from this source of raw materials. The head of state instructed to speed up the implementation of the project of construction of this transnational energy bridge.